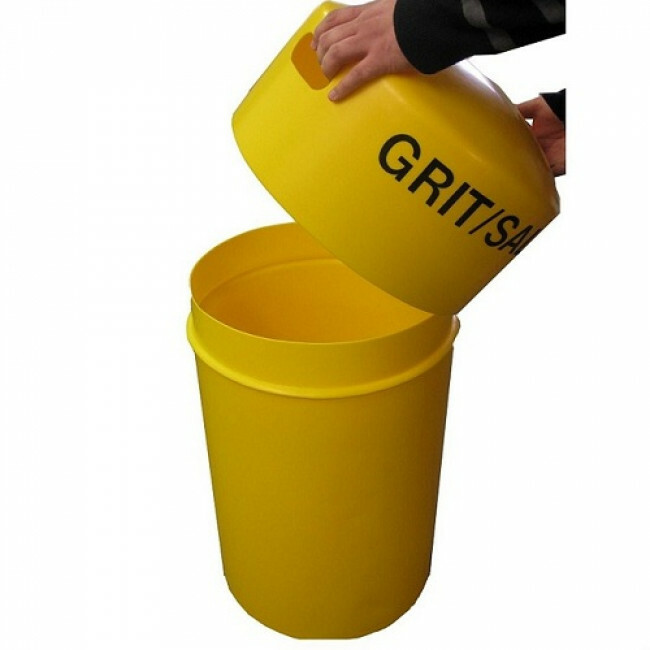 The 3 Cu Ft Slimline Hooded Grit Bin is a unique, compact, durable and weatherproof 90 litre bin. 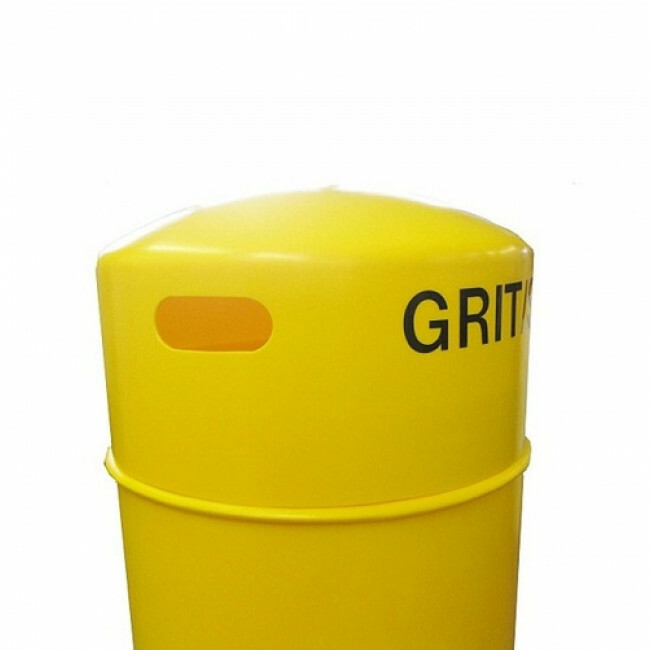 This bin is the latest addition to our range of grit salt bins. A new and unique product designed for use in the areas around your home or business. 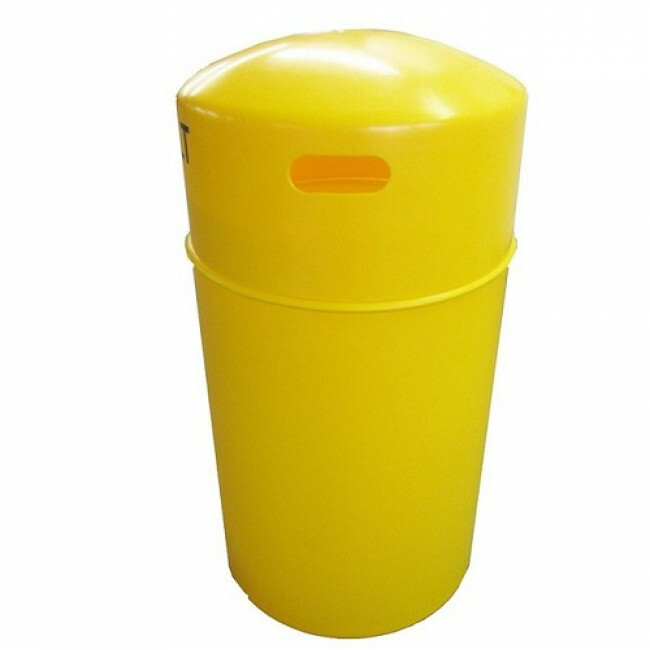 The vertical design of the bin means it can fit into much tighter areas than conventional grit bins, making it perfect for smaller gardens. 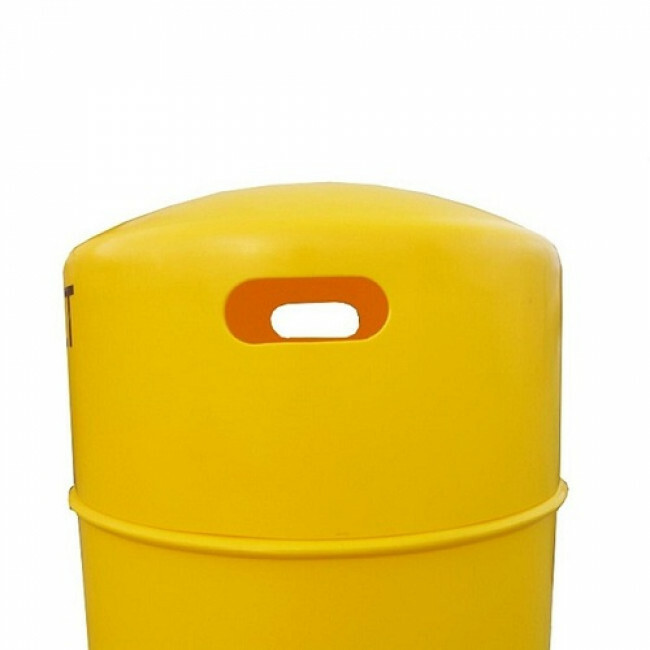 The slimline grit bin has a 90 litre capacity and features a lift-off lid for quick and easy access to your supply of rock salt. The hooded lid features two cut-outs allowing for easy removal of the lid. An optional lock is available to secure the lid to the base and offer extra security. The lid is also dome-shaped, which reduces the amount of snow and ice that can settle on the lid. This ensures continued ease of use even in the worst weather conditions. Available in a choice of 5 standard colours; yellow, dark green, black, dark blue or light blue. A ground fixing kit is available to secure the bin to the ground. For great economy and savings on delivery, up to 12 grit bins will fit on a standard size pallet.